Running a promo on Lunamae. $.99 on iBooks, Nook, and Google Play. Free on Kobo. Pick your price on Smashwords. Muirenn is in charge of fostering her cousin Lunamae, who seems to have her life written out for her as the daughter of the Chief Dame of Feyris. When Lunamae falls in love with a prisoner and her aunt commands an arranged marriage, Muirenn is faced with the difficult task of steering Lunamae away and guiding her on her duties as marriage to a stranger could be the one thing that can bring peace to feuding clans. 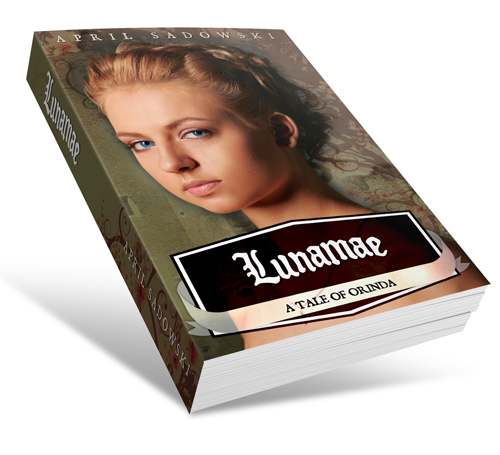 You can read the first three chapters at www.talesoforinda.com/lunamae. This story was started after Lady From Day was finished, for NaNo 2009. It is complete at around 71,000 words. It is set about 500 years before Lady From Day, having been referenced in Lady From Day.